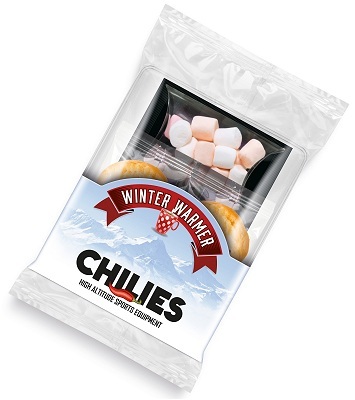 Guide: bulk shortbread snack bag prices. 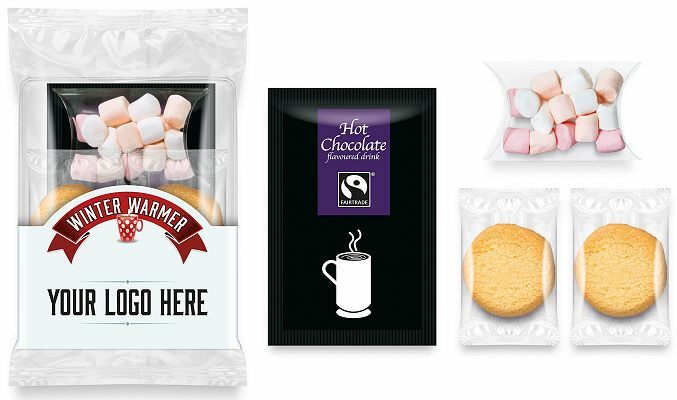 A full colour printed label snack bag filled with 1 Hot Chocolate Sachet, 2 individually wrapped mini round shortbread, 10g of Mini Marshmallows. Quantities start at 100.